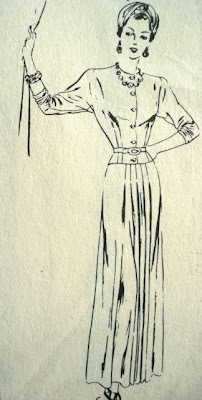 1. a woman’s mantle with capelike arm pieces instead of sleeves. And…… Ah-Ha!!!!! 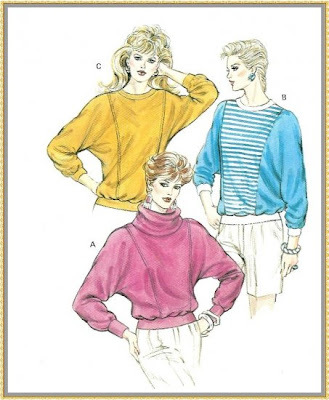 When I was looking for the 40’s version of a dolman sleeve, I found THESE……turns out I was right when they reminded me of the 80’s. haha! 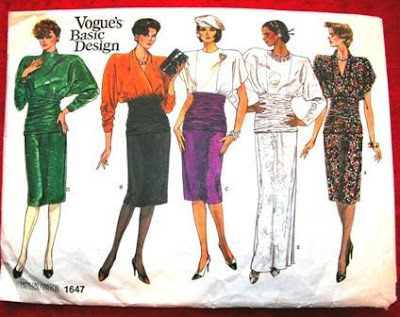 These are both sewing patterns from that decade. Yeah, the sleeves on these are a lot more dramatic than on the 40’s version. And I’m glad to know that I’m not crazy. 😉 At leat not too crazy.